Indigo Partners, the private equity firm behind Wizz Air, Tiger Airways, Spirit and Frontier confirmed it has been having due diligence meetings this week in Reykjavik as the initial steps to a potential Indigo investment in the financially struggling Icelandic carrier WOW air. A team from Indigo Partners spent the last two days with WOW air management to review the business and opportunities of the airline going forward. The overall process is progressing and both parties are working to finalise the investment. Issues remaining include WOW's planned network development, vendor contracts including aircraft leases and certain waivers from WOW's bondholders. "These have been two very good days with detailed discussions around WOW's current business and how we would envision it going forward. WOW air has a dedicated team and a strong brand that has significant potential," said Bill Franke, Managing Partner of Indigo Partners. "We are very pleased with the visit from Indigo Partners and it's clear that we can learn a lot from Bill Franke and his team on how to build a successful low-cost airline. 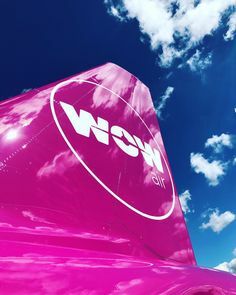 I don't think we can find a better and more experienced partner to bring WOW air to the next level," said Skuli Mogensen, CEO and founder of WOW air. WOW is advised in this transaction by Plane View Partners LLC, the U.S. air transportation advisory firm. Fellow Iceland based airline Icelandair had previously been interested in taking over WOW in a share swap deal, however, they pulled out citing deeper debts at WOW as well as not being able to secure enough funding for the operation of the two airlines.